DESOTO—It took less than a week for DeSoto police to close the most heinous murder case in recent history. 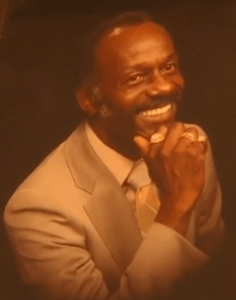 Friday, April 14, 81-year-old T.G. Grady was murdered in his vehicle while parked in front of his Southwest DeSoto home.Today, after numerous tips, police took Milton Davis III into custody at a DART train station in Dallas. Davis was first arrested by Dallas Police and then transported to DeSoto Tri-City Jail. He was processed and is now in custody at the Lew Sterrett Justice Center. At press time he is facing a capital murder charge and a $500,000 bond. “First of all, our thoughts and prayers go out to the Grady family. We are very sorry that this senseless tragedy had to happen. But we are glad to have a conclusion to this whole thing,” said DeSoto Police Chief Joseph Costa. The arrest warrant says, at 4:43am, April 15, officers were on scene of a shooting in the 400 block of Summertree Lane. The victim was identified as T.G. Grady. Paramedics noted that the passenger side door was open and Grady was slumped over with a gunshot to the chest region. He was pronounced dead on the scene. During Monday’s Press Conference at DeSoto Police Headquarters, detectives denied knowledge of any relationship between Davis and Grady. However, Davis did live within close proximity to the victim. Police believe robbery to be a motive. 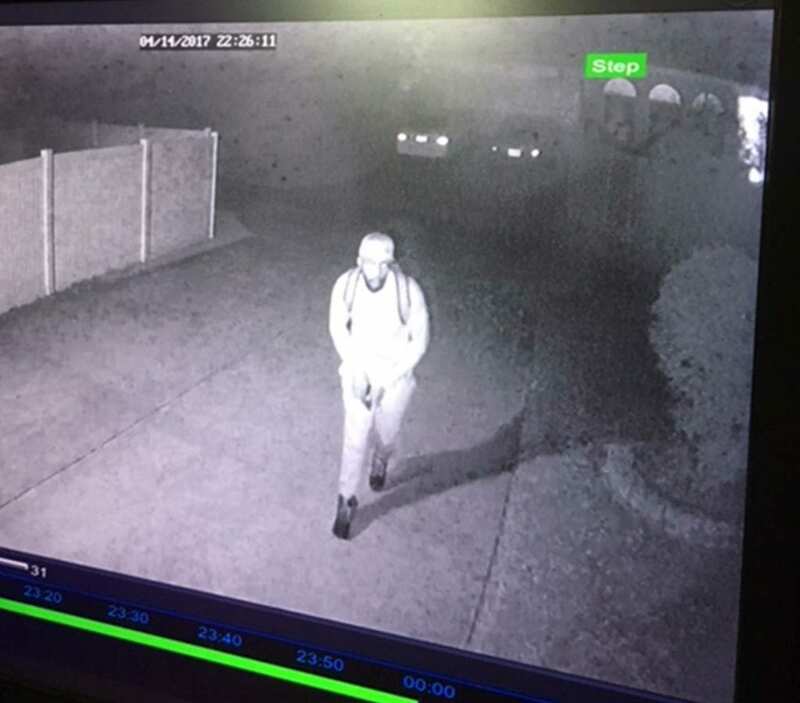 Home surveillance cameras caught images of a man who appears to be holding a gun. T.G. Grady’s widow, Thelma Grady, says she was in a state of panic when he didn’t come home that night. She called him several times, but he didn’t answer. It wasn’t until early Saturday morning that she learned he’d been the victim of a violent crime, right in the driveway of their home. Mr. Grady was shot the night before, apparently. Police say a neighbor reports hearing what they believed to be gunshots around 11 p.m. Friday, but did not call 9-1-1. Coincidentally, that is around the time another neighbor’s home surveillance cameras caught images of a man who appears to be holding a gun. It’s time stamped 10:26 p.m. The video shows that it was a matter of seconds from the time that Davis made contact with the victim to the time that Mr. Grady was killed. Neighbors and family members were shocked that anything like this could befall Grady . The retired DFW Airport baggage handler was a beloved member of the community. Lead Detective Erin Blust says that words like ‘selfless’ and ‘great’ were words that were most often used to describe him. According to Blust, one tip in particular was instrumental with identifying Davis as a suspect. The unidentified caller also provided police with Davis’ cell phone number, which they used to track his movements. After police received approval for cellular records, they discovered that Milton Davis III was in the area during the time Grady was killed and left the area shortly thereafter. According to Dallas County records, Davis has a has a long and ever increasing criminal history. In 2006, at the age of 18 he was arrested on a theft charge and received two years probation. Following that, Davis apparently steered clear of trouble until 2016. In February 2016 he was arrested for driving without proper identification and providing false information to law enforcement. He received deferred adjudication. Then, in December 2016 he was picked up on a DWI charge and made $500 bond. 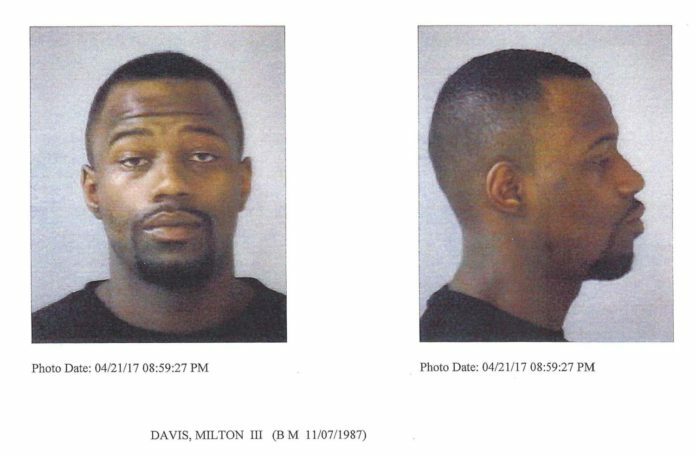 Finally in April 2017 just two weeks before Grady’s murder, Davis was arrested on charges of Harassment of a public servant. He made $25,000 bond the following day. While Davis is in custody, there are aspects of the case DeSoto police are still pursuing. Police are looking for the gun Davis was seen wielding in the surveillance video. Mr. Grady’s wallet is missing as well. “We are still in the process of locating the firearm used in this offense,” said Bristow. Anyone with information regarding Grady’s murder should contact the Southwest Regional Communications Center at (972) 223-6111. If you wish to remain anonymous residents can send tips via text message to 847411. Please be sure to include DeSoto in the subject line of the text. DeSoto police say the outpouring of information from the community was key to quickly apprehending the suspect. “Their assistance was invaluable in bringing this investigation to a successful conclusion,” Bristow said. There is still reward money for information leading to a successful conviction of Davis. But DeSoto police say that this crime was so heinous and Grady was so beloved many residents have forgone the possibility of a $20,000 payday. Crime Stoppers and the DeSoto Police Department are offering a reward of up to $5,000 each for the arrest and conviction of this suspect. Additionally, Oak Farms Dairy is offering a $10,000 reward in connection with the murder. The reward will be paid for information leading to the arrest and indictment of the suspect.